Seller would like to close after July 5, 2019 or if past that date 4 weeks after closing. Located in the short term rental zone for nightly rentals. 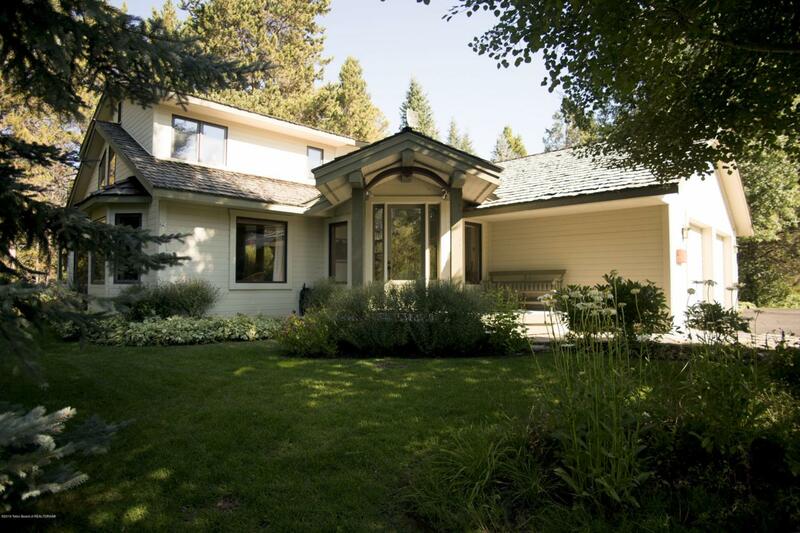 4 bedroom, 3 bath home is secluded in the trees in 'The Aspens', 2 story, 2742 SF home, wooded .5 acre lot. Large decks, kitchen has granite counter tops and all appliances. The deck stretches the length of the home with a gas BBQ. Additional living area with vaulted ceilings, rock gas fireplace, and access to the outdoor deck. 2 bedrooms, including the master on the main floor. . Master has private bath with a deep soaking jetted tub and separate shower.Second floor has 2 bedrooms and a sitting area and full bathroom. The main level features a laundry room The garage can be accessed from the main level.